Adelaide chef Jock Zonfrillo’s Rundle Street fine-dining restaurant Orana has been named Australia’s Restaurant of the Year in the prestigious Good Food Guide awards, with judges saying it “ticks every box”. Award-winning Restaurant Orana in Rundle Street. The awards were presented last night at Melbourne’s Crown Casino, with the 30-seat Orana the only South Australian restaurant to receive three hats, the guide’s highest ranking, while Zonfrillo’s Bistro Blackwood was awarded one hat. Chef of the Year title went to Sydney-based Peter Gilmore, of Quay restaurant in Circular Quay, which has been awarded three hats for 16 consecutive years and named restaurant of the year six times. Orana’s win tops off a highly successful year for Zonfrillo, who recently won the Basque Culinary World Prize, worth more than $157,000, for his work championing Australian indigenous culture and culinary traditions. 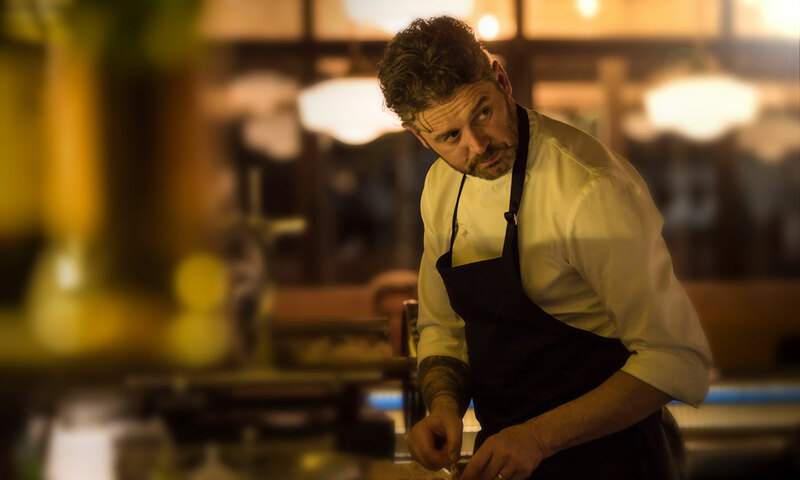 “Zonfrillo has an ability to take left-field ingredients such as ants and Geraldton wax and turn them into something incredibly delicious,” Good Food Guide editor Myffy Rigby said in an awards article on the Good Food website. Zonfrillo said that picking up three hats at the awards meant a lot to his team, “but also all of the small owner-operated restaurants out there”. More than 500 restaurants around the country were reviewed for Fairfax Media’s latest Good Food Guide, with 264 of those receiving hat status, ranging from one to three. Orana was the only South Australian restaurant among seven nationally which achieved the top accolade of three hats, with the others being Attica, Brae and Minamishima (all in Victoria), and NSW restaurants Momofuku Seiobo, Quay and Sixpenny. Overall, South Australia saw a small net gain in hatted restaurants, with Hentley Farm and Magill Estate each receiving two hats, while one hat was awarded to Africola, Appellation, Bistro Blackwood, Botanic Gardens Restaurant, The Currant Shed, d’Arenberg Cube Restaurant, FermentAsian, Osteria Oggi, The Pot by Emma McCaskill, Press Food and Wine, Shobosho, Stone’s Throw and The Summertown Aristologist (see the full listed of hatted restaurants here).